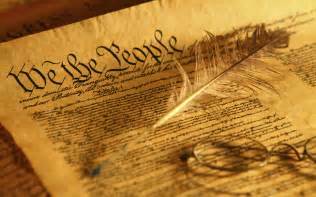 The constitution of the United States guarantees every man, woman, and child the right to life, liberty, and the pursuit of happiness. Well I agree with this statement in the fact that you can only pursue happiness not achieve it. Happiness is a fleeting thing. Here one moment and gone the next with only a small change in circumstances. And frankly, happiness isn’t what we should be pursuing anyway. It is an unattainable goal. You can hear your favorite song on the radio and feel happy, you can get a free lunch or a promotion at work and feel happy. But the minute you are cut off by another car on the way home or step through the door to one child whining and the other crying that happiness is gone. What was the value in it but for that brief moment. However, you can CHOOSE joy. It is a moment by moment, day by day decision. A conscious decision that takes boldness and strength to make but a choice you CAN make no matter what. Joy is achievable and is not fleeting. It is grounded in the ultimate joy that we are given through Christ and our hope and joy in our eternity with Him. It cannot be taken away. It does not flee with the wind. It cannot be changed. We can have this joy even in the deepest holes and the darkest of circumstances. But we must CHOOSE it. It does not come as a feeling like happiness. It comes from the knowledge that God has us in the palm of His hand and will never let go. Will never forget us. Will never forsake us. It comes from knowing that His Truth is all that matters. Circumstances and people can strip you of everything. Your wealth, your family, your reputation, your job, your things, your health. But NOTHING can ever strip you of God’s Truth and the JOY that comes from that Truth! This joy, this hope in Christ is what I cling to when I am struggling, when I am loosing that pursuit of happiness. I remind myself that He has given me the choice every day to have joy and that He has surrounded me with small blessings each and every day. A good parking spot, a kind smile from a stranger, an encouraging word from the Bible. I can CHOOSE JOY. That makes all the difference.